Inside: How precious the little toes. How sweet the sounds of baby cooing. Enjoy every moment. A heart-felt congratulations on the birth of a special little one. With a baby carriage and little baby feet on the inside, the colors make it gender neutral so you can buy one or buy 5 and get one free! You’re sure to use them all! It’s digitally printed on 100# white, satin finish, cover stock then trimmed, scored and folded. 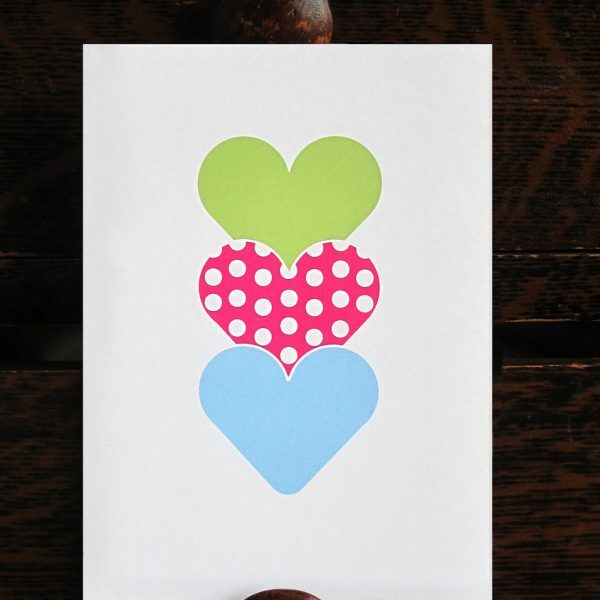 Dimensions are 4.5″ x 6.25″. Comes with white A-6 envelope. 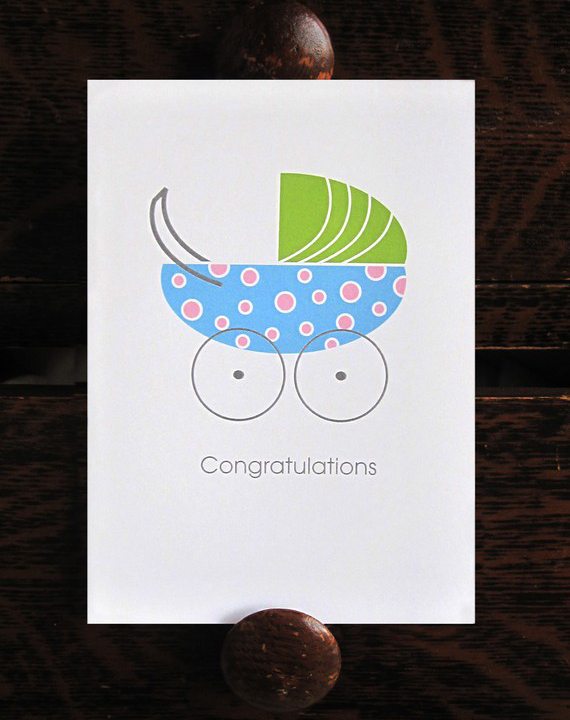 Be the first to review “New Baby Congratulations Card” Click here to cancel reply.